The best way to promote literacy is to inspire a love of reading, and the best way to do that is to surround students with books that are relevant to their lives. CPS students come from a wide range of backgrounds, and we want to make sure we have books that speak to all of them. We’re raising money to equip every CPS school library with books that mirror the lives of our students and offer them windows into other experiences. Your donation helps us provide a diverse and expansive library for every CPS school. A donation of just $10 will buy two new books to help diversify a classroom’s library. $100 can provide professional development for a literacy teacher so they can effectively teach books from a range of cultures. 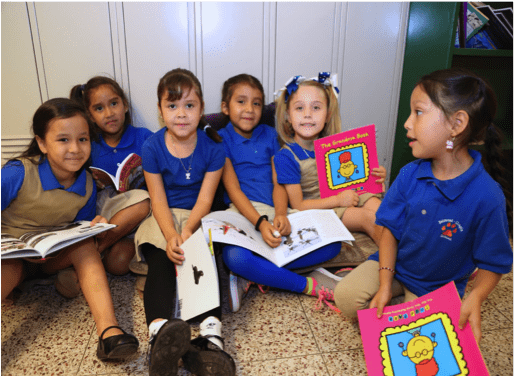 $500 will restock a class’s entire library with books that are relevant to every student, and $1,000 can build a whole new library for a classroom in need, including shelving, furniture, and books.